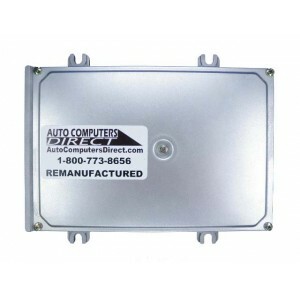 This listing is for a quality remanufactured OEM computer module with warranty. The module will be programmed to your exact VIN, mileage, and the latest software updates and calibrations available from the manufacturer. There will be no need for any additional programming or expensive trip to the dealer. Our professional technicians take care of everything before the module ships out. When you receive the module, it will be fully programmed and tested. All you have to do is plug it in and run the vehicle. We will use the information that you provide on the form to prepare and program the correct computer module for your vehicle, if you are unsure of any information please leave the field blank and one of our professional associates will call or e-mail you as soon as possible. If you have any questions, please feel free to give us a call at 1-800-773-8656 or chat with us live using the Live Support button in the top left corner. You can also e-mail us by using the Contact Us link on top of this page. Thank you for visiting our online store and we hope to make you another of our satisfied customers! You process and pay for your order. We ship your order w/ pre-paid core return label. Install your new remanufactured computer. Ship your old computer within 10 business days with the pre-paid label. Your warranty is activated when we receive your old computer. If you don’t ship your old computer, you pay the core fee in order to activate the warranty.